Through a symptomatic reading of Freud's corpus, from his letters to Fliess through the case of Little Hans to Moses and Montheism, this book demonstrates how "circumcision"-the fetishized signifier of Jewish difference and source of knowledge about Jewish identity-is central to Freud's construction of psychoanalysis. Jay Geller depicts Freud as an ordinary Viennese Jew making extraordinary attempts to mitigate the trauma of everyday antisemitism. 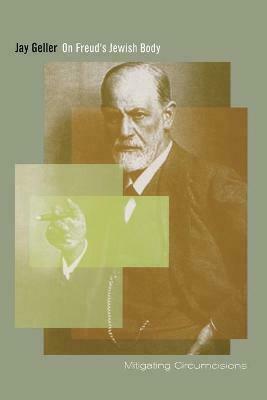 He situates Freud at the nexus of antisemitic, misogynistic, colonialist, and homophobic discourses, both scientific and popular. These held in place the double bind of post-Emancipation and pre-Shoah Viennese Jewish life: the demand for complete assimilation into the dominant culture, accompanied by the assumption that Jews were constitutionally incapable of eliminating their difference. Incarnate in the figure of the circumcised (male) Jew, this difference haunted the Central European cultural imagination and helped create, maintain, and confirm Central European identities and hierarchies. Exploring overlapping layers of gender, sexuality, ethnicity, and race in identity construction, theories of trauma, fetishism, and writing, Geller looks at Freud's representations of the Jewish body-especially circumcised penises and their displacements onto noses. He shows how Freud reinscribed the virile masculine norm and the at once hypervirile and effeminate Jewish other into the discourse of psychoanalysis.